Canon is one of the oldest and most trusted names in the camera and printer industry. People across the UK and the world rely on Canon printers and Canon ink cartridges to provide hard copies of their documents, print their letters crisply, and to produce stunning photo-like colour images on a variety of paper types. 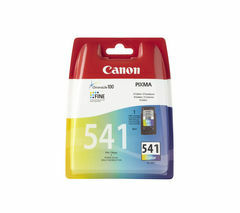 We stock Canon printer cartridges for the brand’s most popular printers. 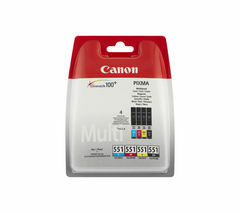 Canon ink cartridges come in single black or colour cartridge packs; or in money saving multi-packs for your convenience. Canon ink cartridges are assembled with all the care and attention to detail you can expect from any genuine Canon product. Canon printer cartridges are filled with the highest quality inks which will last longer and produce crisper blacks and more true to life colours than the non-premium inks used by generic manufacturers. Take a look at our full range of printer cartridges and selection of toner cartridges today.